Ron Ng (吳卓羲) attended a banquet with the cast and crew of TVB’s anniversary drama Lord of Shanghai <梟雄>, which aired its last episode on Sunday, November 29. 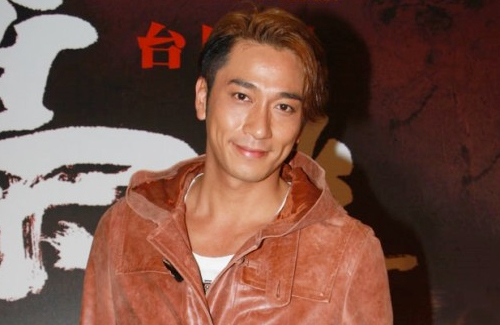 The former TVB actor revealed that he will not renew his TVB management contract, and has established a personal studio with his manager Chan Ka Lei (陳嘉莉). However, the 36-year-old actor has maintained a good relationship with TVB, and is considering to sign a per-series contract with the station. As Someone whO used to like Ron in his early TVB days before he got typecast and plateaued, am really impressed with him in the currently airing c-drama Return Of Happiness – he plays a cool chaebol and has fantastic chemistry with his female lead, Li Qin. His character is well written – a calm, collected, smart and devoted guy who doesn’t take himself too seriously and surprisingly, Ron is pulling it off well! Well done to him !! I hope you’re right cause all the roles I’ve seen him play at TVB has been less than impressive. To me, his range of acting is quite limited. I think that show is on Viki, so I might check it out. Thanks! The role does not sound like much of a challenge. Ron’s weakness is showing emotion. So, he succeeded in playing the guy with mild autism in ‘OL Supreme’. Being ‘calm, collected’ does not challenge his acting. @kidd I watched two of his recent Chinese series (Best ex boyfriend and Happiness return). Obviously, he is given better roles than in TVB. His characters can buy the sympathy from the audience. His acting is fine. Im not sure it was because he improved or in TVB, the producers dont bring him out. His weakness in showing emotion is still there but definitely not as much as in TVB. So he doesnt need to challenge his acting but need to find more producers that can bring his best out. It is slightly similar to Bosco. Bosco in China is liked for his supporting roles because those roles gain much of love from the fangirls for being devoted to someone dont love him. But in leading role such as Chinese Sherlock, he is not that welcomed. So I think Ron should keep acting supporting with lovable character in Chinese dramas. He can quit TVB for now and ever. Being supporting in Chinese dramas can give him more benefit than being supporting in TVB series. Look at his latest TVB series, being supporting and in unlikable roles. In TVB now he has no future. I have no idea what he gonna do with personal studio. In my opinion, it is a bad idea. He isnt that rich to afford a business with not-so-bright future. @alluka I think that makes sense. Ron Ng is not a fantastic actor but I do think he has a likeable vibe – Han among was a good character and he did embody it well. Nothing wrong with being a likeable actor (like Zhang Han) as opposed to a good actor – some careers are built on that! @lizzie Actually I think Zhang Han isnt a likeable actor. He is a boring actor to me. Hope his portrayal as Sir Six Run can change my opinion because it is at least a role with something changed. I dont like his look as well. It is an eyesore for me to see a guy with tough look acting cute. It looks fake :P.
He has been playing second fiddle throughout the years. Unfortunately, he never got given or/and established himself in a strong role. The turning evil thing he saw it coming when as a lawyer he believes power supercede law/justice in Lord of Shanghai. Ron got shafted in that last role but there is a lot of similarities in his other roles when he used evil means to get justice even when playing good guys. He could never be likeable. @gingermessiah Try this show – he is really likeable ! Surprised me too!! So he never did say what kind of studio this will be. Will it be a photography studio? or a dance studio? If this were a photo studio, I would love to see his personal portfolio given his history. LOL!! Actually, all of Ron’s roles in TVB are quite forgettable. Can’t recall a drama that was really representative of him. Often he is typecast as a cop or some good guy which limits his acting range…no fault of his since TVB always gives him the same roles. But he seems to act the same in all the roles he’s given. I do like him as he is not showy or craves for attention at promotions, public functions. Seems like a nice guy even though he has many scandalous rumors over the years. @lml1977 Met him before. He isnt the nicest guy but he seems to be the most real. I can see that he is the type of guy that wearing mask to other people. He says what he thinks and does what he feels. It leads to scandals. He quits TVB for better career. He is getting better and better roles. So far, I find he is finally doing something wisely. Being loyal to TVB but under the wrong power will never bring anything good. Having to choose right side, sweet talk to right people. Ron chose to be in the side of Tommy Leung and 620 so TVB will never put effective investment on him nor giving him award. Keep giving him typecasted roles and scandals, automatically, he will be considered as bad actor. It is a classic method of TVB. @lml1977 I remember him from an early show with Shirley Yeung where he was a soldier or bodyguard and she was a princess. They were quite cute together. And of course On the Beat – those are the only two I remember him on. Seems that he was always typecast as impetuous young man thereafter…. @lizzie This is not true. He actually has quite varied roles. This roles in the following series are not impetuous young men. Twin of Brothers – he’s the calmer brother. I guess his impetuous young man role made deeper impression on people, so, many only remember these role of his. @kidd Oh wow! I don’t think I have seen any of that – didn’t follow tvb that closely after a while. Which would you recommend ? I am watching Bounty Lady now and it is hilarious! @alluka gave a good recommendation. ‘Man in Pain’ is a pretty good series. I personally like ‘The Brink of Law’, but, that series is quite old. I think ‘Rosy Business’ will be easier to find since its newer and it was very popular back when it first aired. It shot Wayne Lai to big brother status. I also like ‘Guts of Man’, but, I think Sammul Chan stood out more in that series. @kidd I think he did fine in Man in pain as an easygoing guy. Another older actor/actress bites the TVB dust. Just too many of them I’ve seen on TV over the years leaving. Sad.